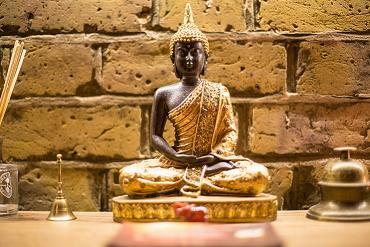 BlissKi is a unique therapy centre specialising in Energy Healing Treatments, Acupuncture and Oriental Medicine . BlissKi was established by Energy Healer and Psychologist Michelle who with over 20 years experience followed her passion to set up a Healing Centre providing the community with therapies for the mind, body and spirit. We are a small, friendly and professional local business. Our ethos being that the Ki to enriching your life is by working on the mind, body and spirit to restore harmony and balance. Using an appointment only system allows us to provide a personal touch for each and every one of our clients ensuring that our therapies are tailored to suit your individual requirements. BlissKi offers you a carefully chosen range of complementary therapies in our modern individually designed treatment rooms. We understand the importance of holistically working on all levels with clients offering therapies for the mind, body and spirit. Every one who comes to BlissKi will be offered a personalised programme using a variety of techniques. Our therapists are qualified and fully insured in their own therapies and are registered with professional organisations abiding by the code of ethics and client confidentiality. We aim to provide you with a professional, friendly and relaxed environment where you can enjoy a variety of therapies for your mind, body and spirit.